To tax is to impose a financial charge or another levy upon a taxpayer (an individual or legal entity) by a state or the functional equivalent of a state such that failure to pay is punishable by law. A tax charged by a government on a product, income, or activity. In economics, taxes fall on whoever pays the burden of the tax, whether this is the entity being taxed, like a business, or the end consumers of the business’s goods. Without the tax, many parts of our society wouldn’t continue. Taxes are monies paid by citizens and residents to federal, state, and local governments. The money collected from these taxes help fund for services provided by the government. It is one of the main sources of government revenue. 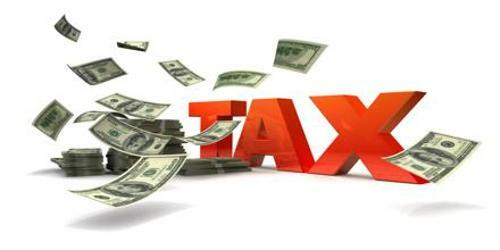 Types of taxes include income tax, sales tax, and property tax. These are paid on a federal level and in some cases to state or local governments as well. “Taxable income” is essentially money obtained through wages, self-employment, and tips and from things like sale of property. The large majority of people pay their income taxes by having the money withheld from their paychecks. The proportion of income tax an individual is required to pay will vary according to earnings. Income tax rates are generally lower for those who make less money. However, any individual who earns an income, live in the United States and satisfies certain criteria is needed to file a tax return and also pay any taxes that they owe. These types of taxes are usually withheld from your paycheck. Social security benefits are provided for retired workers and their families, for disabled workers and their families and also for certain family members of deceased workers. Medicare (healthcare) taxes provide for medical services (this applies to people aged 65 and above). In the large majority of cases, a will qualify for Social Security retirement benefits and Medicare benefits after having served a period of 10 years (or 40 quarters) over the course of your life. However, in the case of disability benefits for you or your family, it is likely that you will require less than 10 years of work depending on your earnings. Sales taxes are more or less state or local taxes and usually added to the buying cost of certain things. These taxes will be based on the cost of items and help fund for services provided by state and local government, such as roads, police, and firefighters. These are also state and local taxes that are charged on your home and land. In most situations, these property taxes contribute to the funding of local public schools and other services in the area person. This is a concept summary. It aims to show how different types of taxes are categorized and to highlight the strong and weak points of each type. Government is supported by resources drawn from the economy. In return, the government protects the economy from foreign and domestic enemies, undertakes large-scale infrastructure works of general benefit, and enforces the rights, obligations, and bargains necessary for economic activity in a civil society. In modern industrial society, a tax either claims a portion of the flow of value in economic transactions between people or takes a part of someone’s accumulated stock of economic value.